The virtually column-free floor space on each of the around 2,300-square-metre storeys allows exceptionally flexible furnishing options. 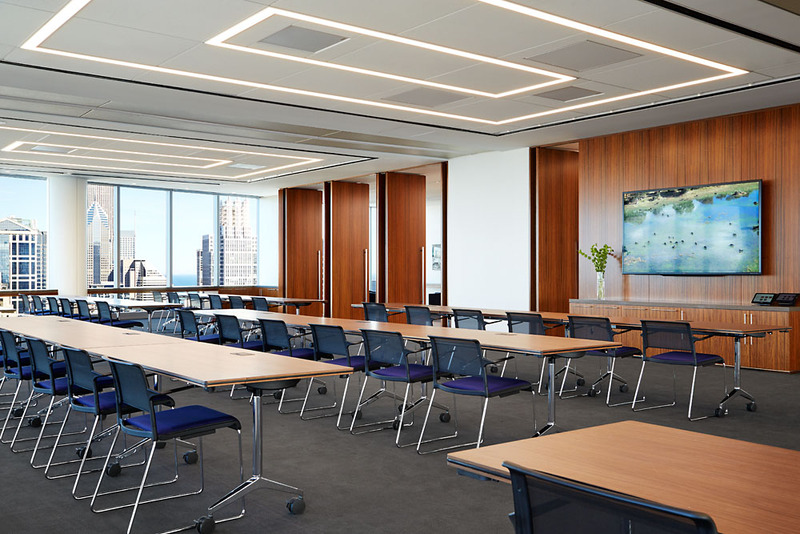 And interior designers Gary Lee Partners (Chicago) knew just how to put it to good use for McDermott Will & Emery. A large auditorium is for example fitted out with a foldable wall, allowing the room to be partitioned if necessary. For the seating they picked Wilkhahn’s stylish Aline chairs, which aren’t just very comfortable but can also be compactly and precisely stacked. 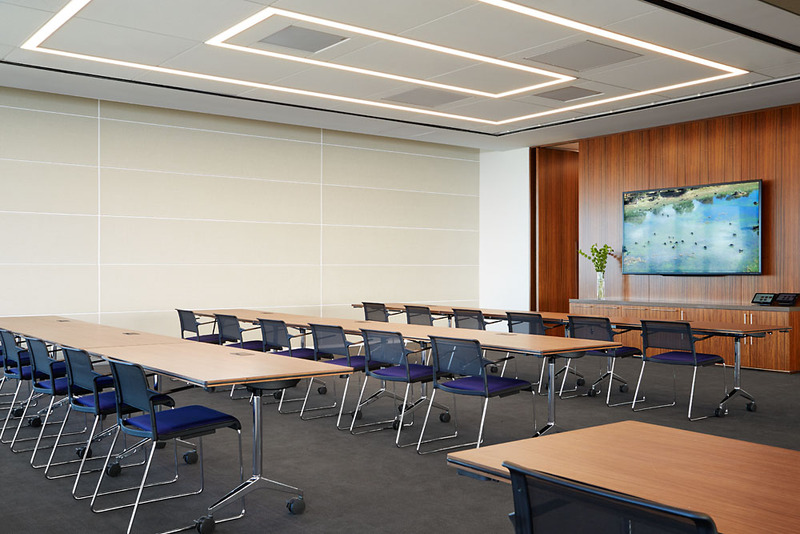 The easy-to-configure Timetable tables with their flip-top mechanism – also from Wilkhahn – round off the flexible furniture for the space and allow all sorts of options ranging from seminars to large conferences. The right furniture really can make a difference. Find more information about Wilkhahn’s Aline skid-base chair. Find more information about Wilkhahn’s Timetable conference table. ... and when it’s partitioned. Photo: Steve Hall © Hall + Merrick Photographers.